Are you planning for a big Memorial Day weekend? Maybe you have a trip coming up or you will be hanging with friends on a lake or beach. 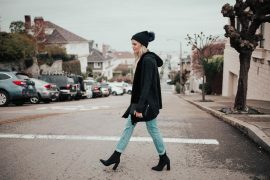 Either way, I’ve partnered with Stanford Shopping Center in this post to highlight some tips for what to wear and pack for the weekend. Ready? First off, I would like to highlight some fun Summer looks from Vineyard Vines below. I mean take this white denim jacket for example. You can literally pair it with anything whether it be fun colored shorts or a romper, the options are endless. 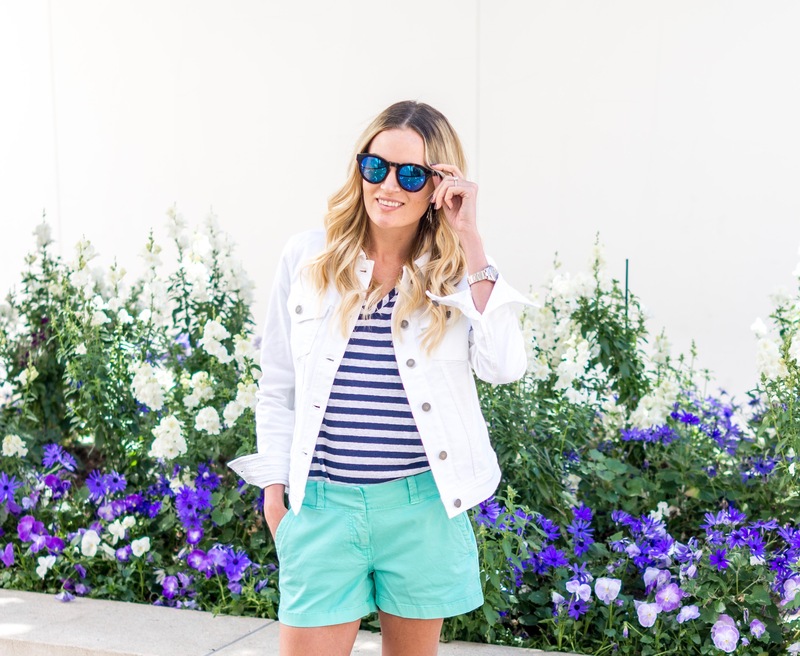 I’ve styled the jacket two ways in head to toe Vineyard Vines outfits. The colors are perfect for warm weather. Scroll on down to see more ideas for the weekend ahead. Okay let’s talk about travel accessories. If you are headed out of town for the long weekend, I highly suggest bringing a backpack that’s also perfect for any trip. Take a look at this backpack below from Going in Style Travel Accessories. Not only does this item double as a crossbody bag, but it’s also so cute! The store has so many options for all of your packing needs (here). Next up, let’s chat about getting in shape for the Summer season. 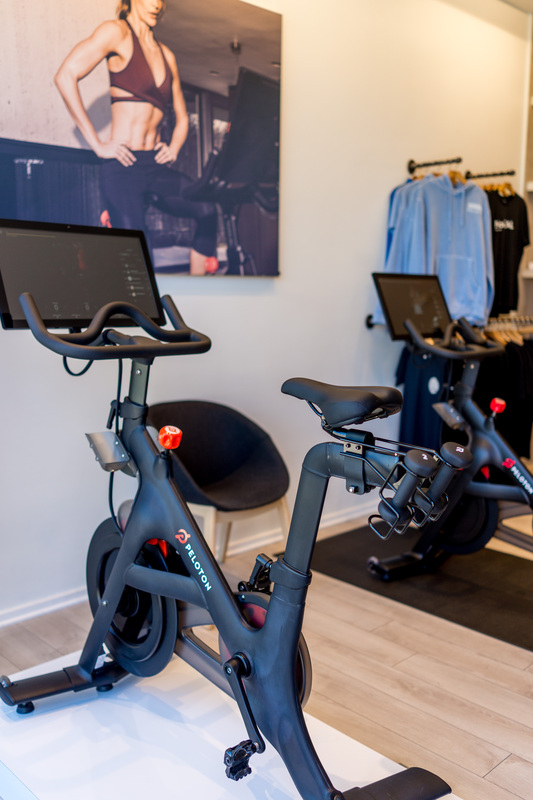 Being someone who loves a cycling class, I was so intrigued by Peloton bikes. 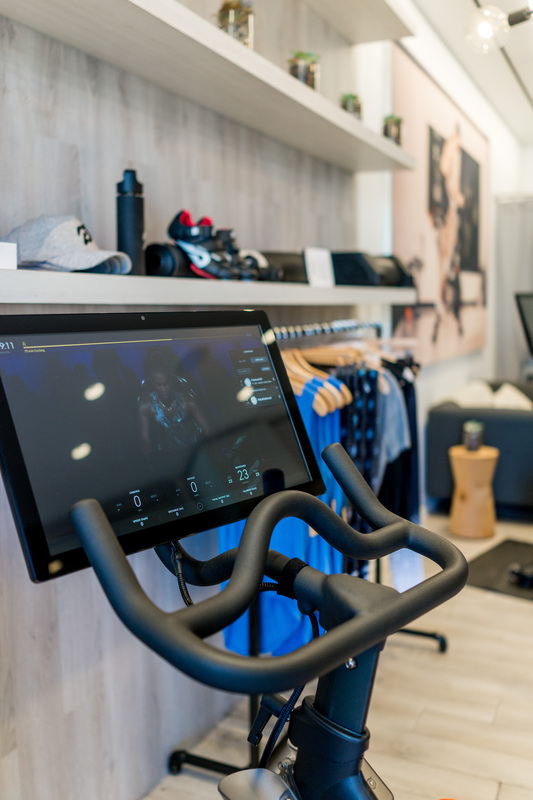 Wait… a cycling class I can take on my own time and in my own home? Tell me more! Yes, this bike fits in any size apartment or house and includes both live and “on demand” classes. You can either buy the bike outright (with warranty, delivery and accessories the bike can cost $2,874 before tax) or choose a monthly plan to pay it off (for example, $239.50 a month for 12 months, $120 a month for 24 months, etc.). They are currently offering $0 down and 0% interest on 12, 24 and 36 month payment plans as well! The bikes don’t make any noise and the screen is unbelievable. You really feel like you’re in the class even though you are at home. Check them out here. Now it’s time to chat swimwear and accessories. 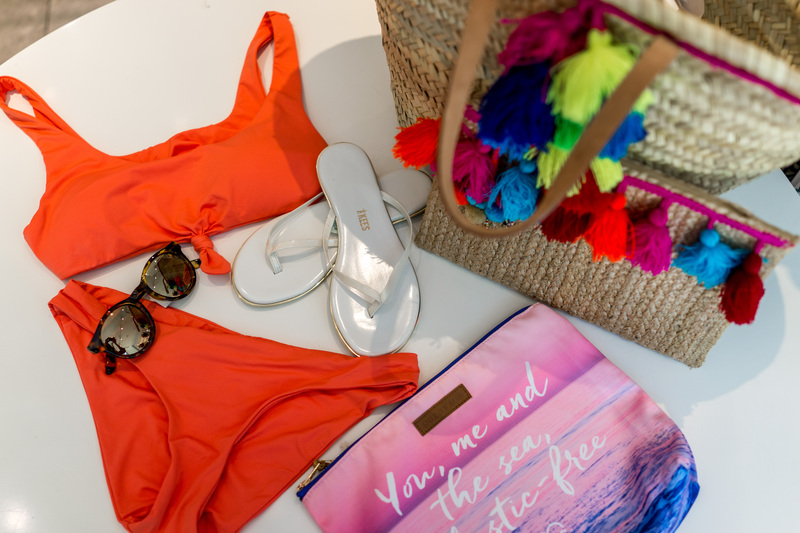 When it comes to trendy suits for the season and fun beach bags, you must check out Everything but Water (here). I am loving anything with pom-pom detail this season, like these cute bags below. Also, all about a good pair of Tkees sandals (which they also carry). Head on over to Stanford Shopping Center this week if you are in the Bay Area to visit all of these stores before the holiday weekend. Trust me, you won’t be disappointed! Happy shopping!